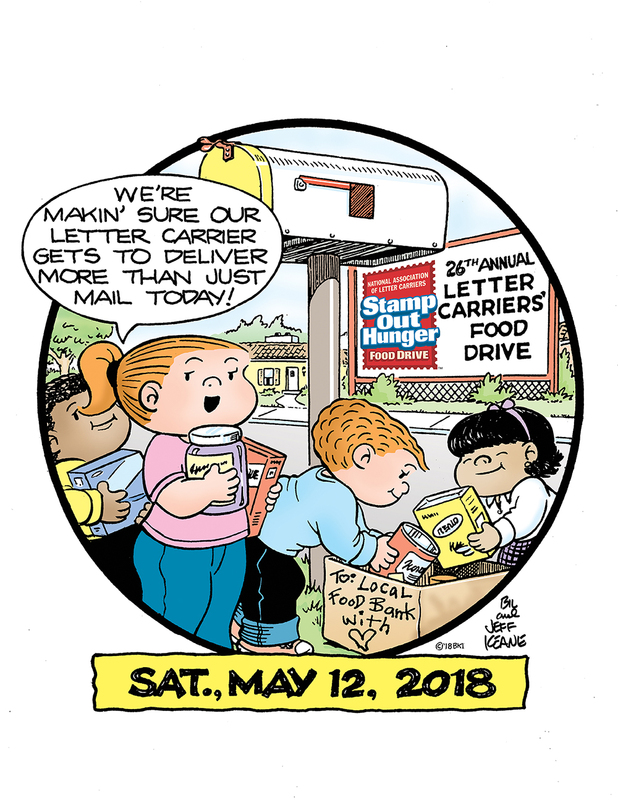 FARGO, N.D. – The largest single-day food drive in the world, Stamp Out Hunger, which is hosted annually by the National Association of Letter Carriers (NALC), is slated for Saturday, May 12. Individuals throughout the country are asked to leave non-perishable food items by their mailboxes Saturday morning for letter carriers to collect during their standard routes. Now in its 26th year, Stamp Out Hunger has collected and distributed over 1.5 billion pounds of food over the last quarter-century from generous individuals in more than 10,000 cities and towns across the country. The Great Plains Food Bank teams together with the Emergency Food Pantry and the Dorothy Day Food Pantry to accept food donations given within the Fargo-Moorhead area. In 2017, Stamp Out Hunger brought in more than 71 million pounds of food collected in all 50 states plus Washington D.C., Puerto Rico, Guam and the U.S. Virgin Islands. Read more about the Stamp Out Hunger Food Drive HERE.